• نیشنل اینڈومینٹ فار دی آرٹس انفرادی کلاکار فیلوشپ: 1982, 1988 اتے 1992. • جون سائیمن گگنیہیم میموریال فاؤنڈیشن ، 1987. • کورکورن کالج آف آرٹ اینڈ ڈزائین توں آنریری ڈاکٹر ااپھ فائین آرٹس، 2006. ↑ "Honorary Fellowships". Royal Photographic Society. http://www.rps.org/annual-awards/Honorary-Fellowships. Retrieved on 2012-09-07. ↑ "Sally Mann". PBS. http://ec2-75-101-145-29.compute-1.amazonaws.com/art21/artists/sally-mann. ↑ "Sally Mann | American photographer" (in en). Encyclopedia Britannica. 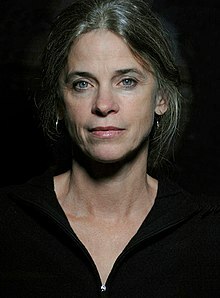 https://www.britannica.com/biography/Sally-Mann. ↑ Mann, Sally (1977). Sally Mann: The Lewis Law Portfolio. Washington D.C.: Corcoran Gallery of Art. ↑ "Sally Mann: By the Book". جون 25, 2015. https://www.nytimes.com/2015/06/28/books/review/sally-mann-by-the-book.html.